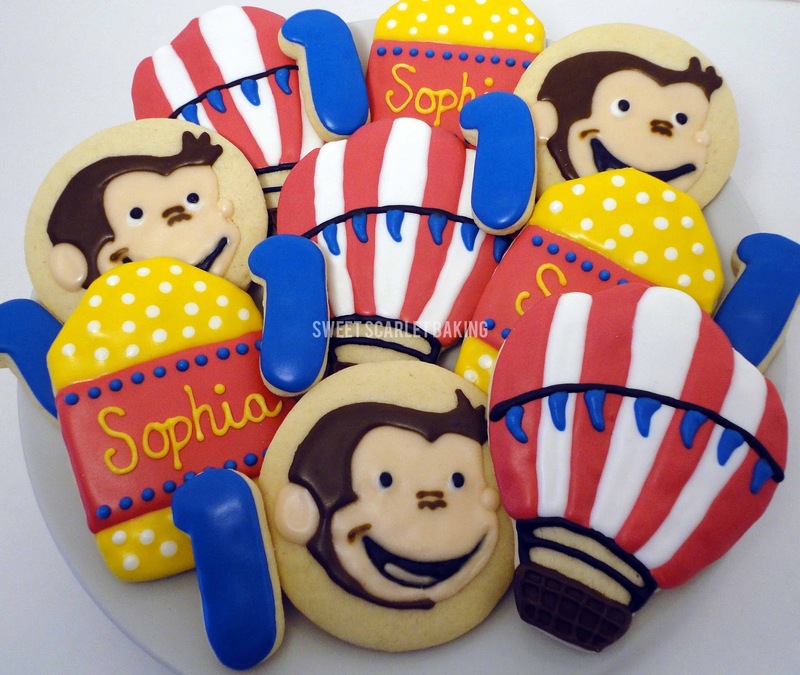 These decorated sugar cookies were inspired by these darling Curious George party printables that my customer ordered from Grace & Guy Paperie Designs for her daughter Sophia's 1st birthday. These Curious George and the Thomas the Train cookies are just gorgeous. 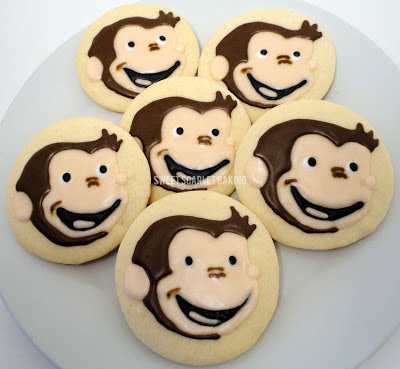 So much artistry and detail!